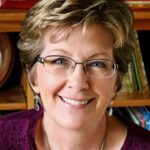 If you’ve been trying to write picture books, you’ve probably heard that they ought to be short: 800 words, 600 words, 500 words. Or even LESS. Paring your story to its essence. What is it about at its heart? Anything that doesn’t support that can go. Letting illustrations fill the gaps. They explain a lot so you don’t have to. Choosing the best possible words. Here’s where being picky and thoughtful pays off. One book that does these things frighteningly well is ZOMBIE IN LOVE, by Kelly DiPucchio. It tells a complete, satisfying story in less than 400 words. You immediately know what it’s about. From there, every scene in the story shows Mortimer pursuing his goal of finding a sweetheart. He tries meeting girls at the bus stop, the diner, the park and the gym. To no avail. Through all this, notice what’s not there. Backstory. DiPucchio doesn’t waste words on Mortimer’s past. We don’t know why he’s a zombie, how he manages in a human world or how long he’s been alone. It’s doesn’t matter. Its pictures are worth … well, you know. The illustrations say a lot in this book. DiPucchio writes: “He gave the girl at the bus stop a fancy box of chocolates.” Scott Campbell’s illustration shows Mortimer offering a box of chocolates shaped like a coffin with worms crawling over them. Adding that in the text would have slowed the story’s pace considerably. And in one of my favorite spreads, DiPucchio simply says: “Mortimer smiled. Like this.” Then, the illustration shows the full extent of Mortimer’s dental issues. That’s much more effective than if she had spent 15 additional words describing what Mortimer’s smile looked like. Each word has earned its way into the manuscript. Because she’s picked the perfect words, DiPucchio’s story flows smoothly from one part to the next. Picture book writers who write short well spend a lot of time making sure each word has earned its place in the manuscript. The result is a clear, easy-to-read story that never bogs down. Which is what every reader wants. What might your story gain … by losing? Kelly DiPucchio, Pat Zietlow Miller, Scott Campbell, tight writing, Zombie in Love. Bookmark. SO true. Looking forward to reading about some zombie romance. Thanks, Pat! Short word counts = TOUGH to do well. Really great advice here, Pat! Thanks for the advice. I’m looking forward to penning my first picture book in 2015. I will be checking out Zombie in Love. “Mortimer smiled. Like this.” A perfect example of how to leave room for the illustrator. Great tips, Pat! And looking forward to reading the next Zombie in Love book, Kelly! Thanks for making this so clear, Pat! It finally clicked for me! Now to go and look at my manuscripts! So very, VERY helpful, Pat! Thanks a TON (and requesting that book from my library as we speak!). So true, when I started working on Pandamorphosis, it had text, but as I worked on it and edited, it finally became a wordless picture book because the illustrations were able to carry the whole story. Hi SaDonna: I don’t know for sure, but my guess is that there weren’t illustration notes for that example. Knowing that Mortimer is a zombie, I think Scott Campbell could accurately come up with what his smile might look like without an illustration note. In my books, I’ve been amazed at what the illustrators have created based on very limited words from me. I love that book! And yes, you’re so right that DiPucchio does short and open to creative illustrations so well! Gonna get this books – what a great mentor text on short and sweet. Kelly is a masterful writer. The first time I read the description “drop-dead gorgeous” in ZOMBIE I snorted, anticipating the illustration! Glad book 2 is in the works! As a writing illustrator I share the sentiment on a picture’s worth. Still tough to pack just the RIGHT stuff! Like keeping baggage down to a carry-on! I LOVE, love, Zombies in Love!! Great post! This was such an incredibly helpful post. I definitely favor PBs with fewer words. And, as this illustrates so well, the right words can pack a powerful punch! I’m excited to read Zombie in Love, and to keep working on finding the best possible words in my own writing. P.S. 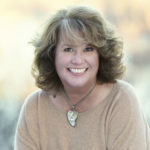 I’m really enjoying this blog – so glad I found it through Linda’s blog. As an illustrator, we salivate over lines like this, “Mortimer smiled. Like this.” especially if there are no illustrator notes. What fun to interpret the writer’s story. And as far as shorter text goes, my book BUNNIES!! !, coming out in January, only has 47 words. And before my editor got hold of it, it had 46 words. But I am confident that those 47 words are just about perfect. 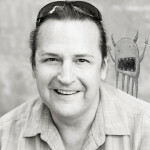 Kevan: I am very, very much looking forward to BUNNIES! I’m in the process of revising a PB and this advice came along at exactly the right moment. Thanks, Pat! Would you all please consider writing a column or three on dark PBs? I love them but know not everyone does. How do the ones that make it into print do that?! Hmmm … dark picture books. I will put on my thinking cap. This is so valuable. It’s easy for writers to forget that the artist’s vision is based on a remarkably expressive talent. Looks like a hilarious book! I’m adding it to my list. Thanks for supporting your points so well, Pat. This was a fun post. Re: Illustrator comments, this is the true beauty of a picture book isn’t it? A perfect marriage where the words need the pictures as much as the pictures need the words. I’m currently working on a picture book by Linda Sue Park with 35 words 🙂 Thanks for the great post, Pat! I once had an editor ask me to cut 450 words out of a 500 word picture book. After my initial horror, followed by few days of musing, I took an axe to the ms. and cut 451! It was definitely a better book. Love the post, Pat. Showing examples to back up your points was so helpful! I know a lot of people get frustrated with how short picture books have become, but I think it’s actually an awesome challenge. Trying to find those exact right words, etc. is hard, but that’s also part of the (weird) fun of it! 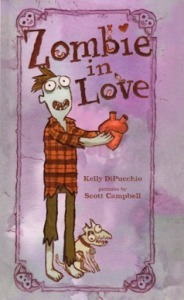 Zombies In Love is actually one of my favorite picture books. In fact, I use it as an example of what a successful picture book is! It’s a complete and wonderful story full of humor and emotion all done using minimal text. I’m in love with Zombies In Love! Great article. I figure most adjectives will be taken care by the artist. That’s how I make my story shorter.